Originally part of the Donington Hall estate, Donington Park was created as a racing circuit during the pre-war period for both cars and motorbikes. Used as a military vehicle storage depot during World War 2, it fell into disrepair until bought by local construction entrepreneur Tom Wheatcroft. Revived under his ownership in the 1970s, the first race back at the track, for motorbikes, took place in early 1977 and it soon went from strength to strength as one of the UK’s premier motorsport venues. 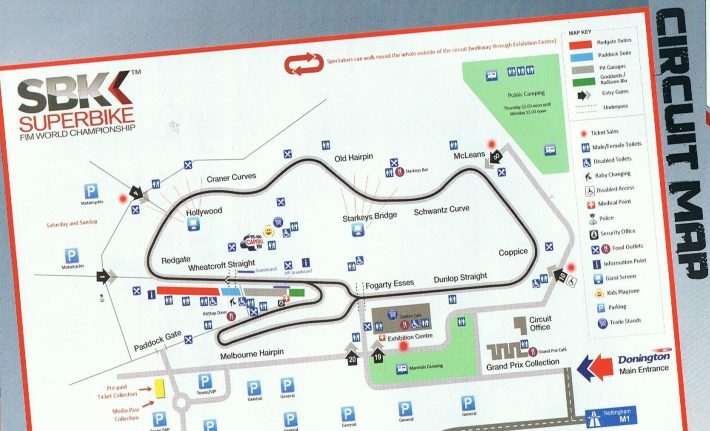 At 1.9 miles the circuit was deemed too short and the Melbourne Loop was built in 1985 to increase the lap distance to 2.5 miles and allow the track to host Grand Prix motorcycle races, which it did from 1987 until 2009. This shorter layout remains as the National circuit, which is used for most non-Grand Prix events. Between 2007 and 2008, it was taken over by a private company who had ambitious plans for the circuit only for these to fail and the circuit lost some of its major championships. 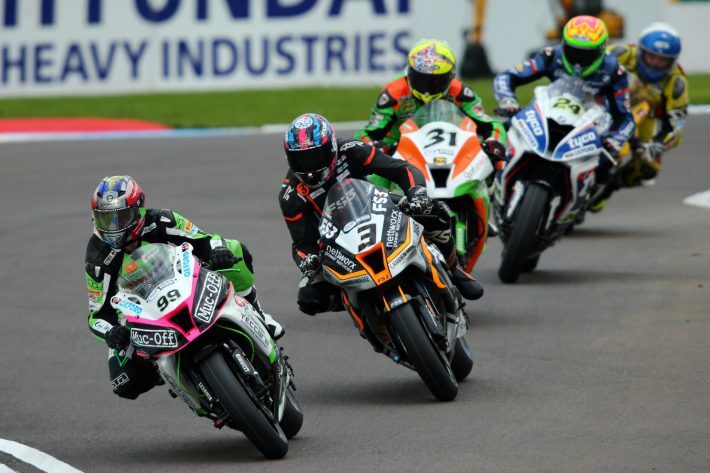 The Wheatcroft family re-took control in 2009 and it continues to host rounds of the British and World Superbike Championships. I like Donington and have some great memories of the place. It’s quite a technical track and very different to most other circuits and it’s the kind of place where you really have to have track knowledge if you want to do really well. The first part is fast and flowing, but the last section isn’t, so any good bike set-up you have for that section is probably not going to work in the other one. It’s nearly impossible to have a perfect set-up for the whole track, so it all has to be a bit of a compromise. It’s a pretty safe track though you have to be careful in a couple of areas, especially the chicane before the Melbourne Loop. Also if the track is wet, there are a few very slippery patches – sometimes about a metre wide. If you have good circuit knowledge though you know where they are and what to do about them. One of those areas is exiting the last turn and it’s very easy to get caught out there and fall. Redgate is a very hard corner to get right but if you can get it sorted and your speed out of it is good, you can carry the speed all the way down to Craner Curves. Craner can be a problem, because it’s fast and it’s the first time the bike goes on to its left side and, if your tyre is cold and you overdo it, you’ll go down for sure. It’s important to get into a good rhythm as soon as you can, lap consistently and manage your tyres well otherwise you’ll be struggling in the latter part of the race. There are lots of good places for spectators to watch but, like most riders, I’m not really aware of them during a race – but I sure know about them on the cool-down lap after a race! 2016 British Superbike Championship, BSB R10, Donington Park, Derbyshire. 16th September 2016. Words and images by Phil Wain.